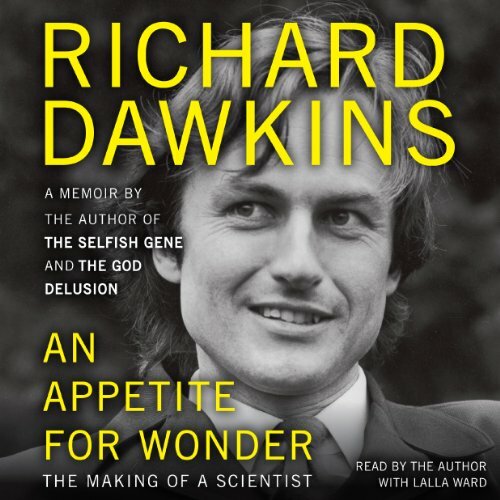 In this hugely entertaining sequel to the New York Times best-selling memoir An Appetite for Wonder, Richard Dawkins delves deeply into his intellectual life spent kick-starting new conversations about science, culture, and religion and writing yet another of the most audacious and widely read books of the 20th century - The God Delusion. For decades Richard Dawkins has been the world's most brilliant scientific communicator, consistently illuminating the wonders of nature and attacking faulty logic. 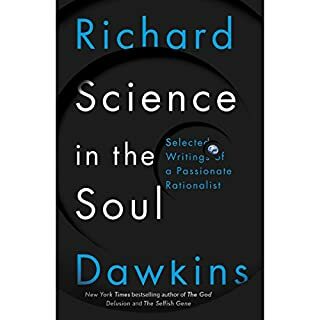 Science in the Soul brings together 42 essays, polemics, and paeans - culled from personal papers, newspapers, lectures, and online salons - all written with Dawkins' characteristic erudition, remorseless wit, and unjaded awe of the natural world. 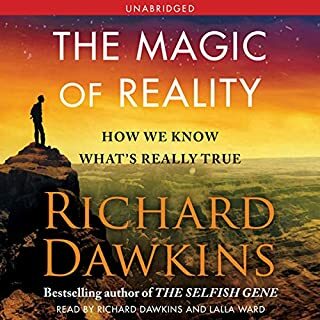 Richard Dawkins, the world’s most famous evolutionary biologist, presents a gorgeously lucid, science book examining some of the nature’s most fundamental questions both from a mythical and scientific perspective. Science is our most precise and powerful tool for making sense of the world. Before we developed the scientific method, we created rich mythologies to explain the unknown. The pressing questions that primitive men and women asked are the same ones we ask as children. Who was the first person? What is the sun? Why is there night and day? 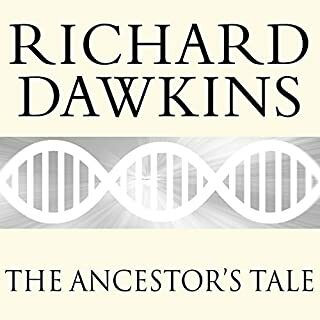 In The Ancestor's Tale, evolutionary biologist Richard Dawkins offers a masterwork: an exhilarating reverse tour through evolution, from present-day humans back to the microbial beginnings of life four billion years ago. 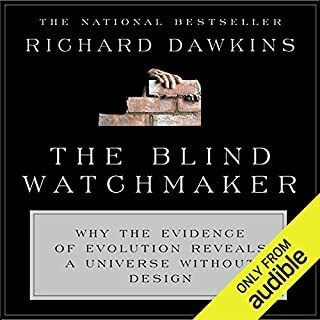 Throughout the journey, Dawkins spins entertaining, insightful stories and sheds light on topics such as speciation, sexual selection, and extinction. The Ancestor's Tale is at once an essential education in evolutionary theory and riveting in its telling. Please do an unabridged version! Well read, well explained, scientific. Part 1 of Godless, "Rejecting God", tells the story of how I moved from devout preacher to atheist and beyond. Part 2, "Why I Am an Atheist", presents my philosophical reasons for unbelief. Part 3, "What's Wrong with Christianity", critiques the bible (its reliability as well as its morality) and the historical evidence for Jesus. Part 4, "Life Is Good! ", comes back to my personal story, taking a case to the United States Supreme Court, dealing with personal trauma, and experiencing the excitement of Adventures in Atheism. 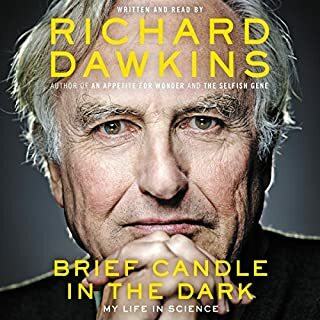 In his first memoir, Richard Dawkins shares a rare view into his early life, his intellectual awakening at Oxford, and his path to writing The Selfish Gene. He paints a vivid picture of his idyllic childhood in colonial Africa, and later at boarding school, where he began his career as a skeptic. Arriving at Oxford in 1959, Dawkins began to study zoology and was introduced to some of the university's legendary mentors as well as its tutorial system. It's to this unique educational system that Dawkins credits his awakening. In 1973, provoked by the dominance of group selection theory and inspired by the work of William Hamilton, Robert Trivers, and John Maynard Smith, he began to write a book he called, jokingly, "my best seller". It was, of course, The Selfish Gene. This is an intimate memoir of the childhood and intellectual development of the evolutionary biologist and world-famous atheist and how he came to write what is widely held to be one of the most important books of the 20th century. I have been a great fan a Dawkins since I read The God Delusion - then I read all his other books, which was a treat as I am a science nut. I have also watched every video he has ever made that was available in the US. I was so excited to read his autobiography that I pre-ordered the physical book, plus the audible version. He and his wife do a masterful job of reading his work. I hate to say, but I found this book a disappointment. It was rather boring - filled with the names of all his friends, mentors, teachers, etc. He mentions his first wife, Marion Stamp, only as a scientific collaborator, without a word about her personality or their relationship. It really was about the making of a scientist. Period. I certainly didn't expect a class act like Dawkins to write a tell-all autobiography, but this was way too dry. Very few tidbits about about his personal life, pets, or other interests would have been a treat. This book is for die hard Dawkins' fans only. Dawkins from boy to young man, grad student to professor, science author to prolific and ardent spokesperson of disbelief. This book is the memoir of one of the greatest evolutionary biologists and an interesting character indeed. Very little science can be found inside, but you will get the full story of how Richard Dawkins came to be who he is today. This is not exactly fascinating stuff unless you're a Dawkins fan, so I'd advise you to keep that in mind. 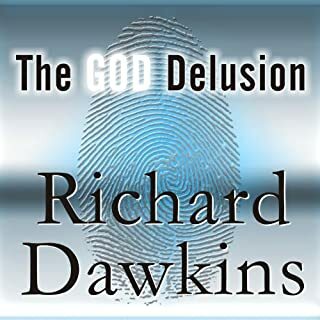 If you are a Dawkins fan, it's a worthwhile read. Richard Dawkins is an amazing scientist. I have always thought so and this first part in his autobiography trilogy do reinforce my favorable view on Dawkins. His greatness, in my opinion, primarily lies in his unequaled ability to convey science to the general public using a language which should make him eligible for the Nobel prize in literature (seriously!). His book, the selfish gene is probably the book that have meant the most to me personally, all categories, and reading excerpts from it in this book made me remember what a great book it was, and still is. In fact, reading “An appetite for wonder”, made me decide to re-read Dawkins original best-seller (which I am now doing). Yes, Dawkins is a fantastic writer and scientist, but this book, on the whole, did not live up to my admittedly high expectations. Perhaps others will disagree with me but I am not personally very interested in great people’s childhood, unless it is truly extraordinary. Yes Dawkins grew up in Africa and that was probably interesting, however, I would personally have preferred if this section was significantly shorter or left out. Following his description of the education system in Oxford a semi-interesting description of his early years in academia follows. The book, in my opinion reaches its climax towards the end when Dawkins discusses and reads excerpts from the Selfish Gene. I realize it may sound nerdy but just hearing a few lines from that book can increase my pulse significantly, and it was interesting to get to understand how the book came about. I was also pleased to find out that, like myself, the great writer Richard Dawkins does not write his book in one go. Rather, every sentence that he writes have been written and re-written many times. Like the natural selection of biological organisms, this way of writing should lead to evolution of better sentences and in the end a better book. This is certainly the case with the Selfish Gene. I am a big fan of Dawkins. His book the God Delusion has been one of the most influential in my life and the Selfish Gene was ground breaking in the 70's and is still relevant today. So it was with great enthusiasm that I dove into his autobiography. Although most authors shouldn't read their own works, I thoroughly enjoyed listening to Dawkins. He is charming and funny. I was also surprised by how much I enjoyed hearing about his ancestors, his childhood in Africa, and the sad life he endured as a little boy sent away to boarding school. I was also able to get a sense of his budding intelligence and his "appetite for wonder." But that is the only good news in this book. For reasons only he knows, as he moves into his early adult years and begins to teach at university, he becomes bogged down in very detailed and pedantic discussions about some of his research. My god, it was tedious and uninteresting. Then the book is over and he has yet to get to the 70's when he wrote the Selfish Gene - the part of his life that I was most interested in and for which he is best known. I was fed up and disappointed by the end of the book. Unless you have an unquenchable interest in all things Dawkins, use your time more wisely and listen to one of his other books and hope that his next installment is more interesting. There is nothing wrong with this book. I would be quite interesting to someone new to Dawkins. If you have read many of his books and watched the BBC specials, then you are already familiar with a good portion of the story. I would have said his performance was excellent except that I went to an appearance where he read from the book. His performance in person was quite funny, lively and emotional. The Audible read was more reserved. I found the book didn't grab my attention until he wrote about his graduate work and beyond. It seemed to end abruptly as well. I have a feeling an authorized 3rd person biography would be much more interesting. What disappointed you about An Appetite for Wonder? It was a bit boring. Never got past the first hour if that long. What was most disappointing about Richard Dawkins’s story? Not the inspitong story I expected from such an exceptional person. Odd;y enough I'd say it was far to ordinary. Who would you have cast as narrator instead of Richard Dawkins and Lalla Ward ? No one different. It wasn't the narration it was the story. I wish I could return it but found out about that option too late for this book to be eligible. Objectively the life of Richard wasn't that intersting but he made it intersting. Discussing some of his early work and the relationships he had formed, Dawkins made the listening of his life story a good use of time. an explained equation of how he became "Dawkins"
Yes, for Dawkins fans who want to understand how he came to be. I suspect young scientists and engineers might also find comfort in reading his professional path. Everyone else might be a little bored or uninterested. It is fascinating and wonderful to learn, step-by-step, how Richard Dawkins became, well, Richard Dawkins. I have never read a memoir like this, it is fitting that the entire memoir feels like an explained equation. It's mathematical and scientific in it's prose: the study, understanding, and explanation of Richard Dawkins. Have you listened to any of Richard Dawkins and Lalla Ward ’s other performances before? How does this one compare? Yes, they are always excellent. What else would you have wanted to know about Richard Dawkins’s life? This memoir lacks any personal details of his life. He mentions his current and ex-wife in a single sentence, and while he does retell stories of his childhood, they are mostly to give context. Most memoirs are "musings" which this is not. The stories are picked only to explain the evolution of Dawkins work and mind. Do not expect him to impart nuggets of wisdom—those quotable quotes. This book is educational, a lecture on Dawkins by Dawkins. Do not expect to know him or feel a deeper connection to him. The excellent story of a quite remarkable intellect and personality. Dawkins is a Child of the Empire in that his background and upbringing, enhanced by brilliant recollections, captured in so many nuances of personal and student development for a budding an inquiring mind in the second half of the incredibly exciting 20th century. The man is an icon of free thought and rationalism. I look forward to reading part two of his splendid life story.